There are two distinct communities to examine with various differences. 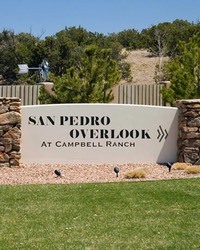 San Pedro Creek Estates has 10-acre homesites that allow horses and San Pedro Overlook has 3-6 acre homesites which is gated with a community center/pool. Click on the community name to see the detailed differences. Both communities have restrictive covenants that make sense to the environment and to preserve views. 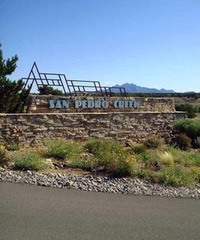 Both communities have amazing breathtaking views which truly defines our state slogan "The Land of Enchantment". Just 20-minutes outside of Albuquerque you will find a different world filled with trees, mountains, creek bottom canyons, and wildlife. This area is definitely worth a look, Contact Us for more information or to set a time to view our properties.